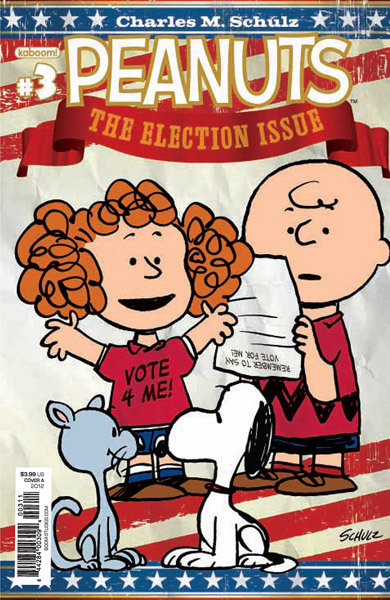 Charlie Brown and Frieda face off in an election for class president in the latest issue of Boom! Studio's Peanuts comic book. Peanuts Volume 2, Number 3 is out Wednesday October 19, and also includes the stories "Plane & Simple" and "News from Needles," campaign posters, and a handful of classic Peanuts strips. You can see a preview at Comic Book Resources, and buy the issue at your local comic book shop or order it directly from Boom! Studios' website.